THE ROOM AND VERSATILITY OF A DECK BOAT!! THE SMOOTH RIDE AND PERFORMANCE OF A V HULL!! PRICED TO SELL QUICKLY! 45K LESS THAN NEW!! PICTURES ARE OF A SISTER SHIP WHILE BOAT IS UNDER SHRINKWRAP. 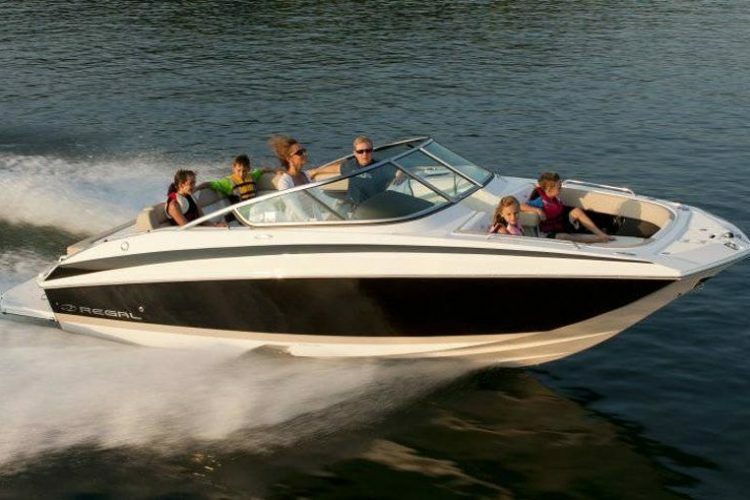 A really sharp well maintained 2013 Regal 24 FasDeck powered by BIG Volvo V8 350…maximum power for this boat. Black full hull gelcoat with a White boot stripe, Tan and White vinyl interior. Includes cockpit carpet, bow and cockpit covers, travel/storage cover, a Fusion marine sound system.